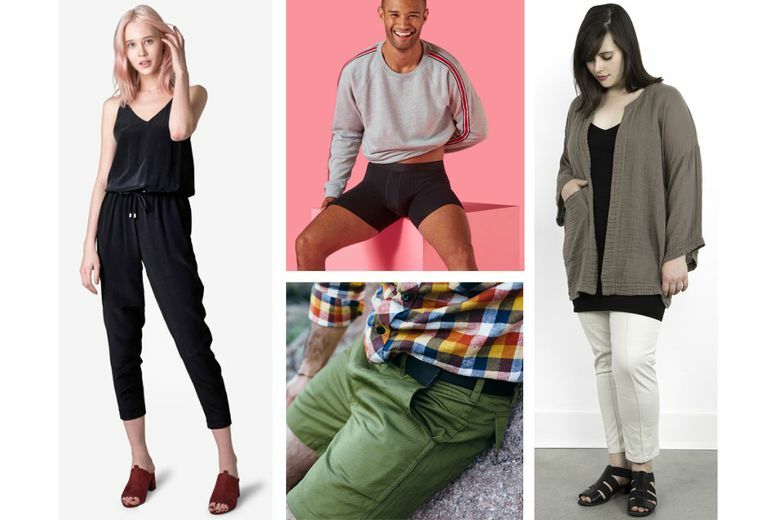 Build a great wardrobe foundation with creative, elevated versions of your old standbys. When did “basic” get such a bad rap? Our wardrobe basics are foundational pieces — and pieces for days you just want to put something on without thinking about it (while still looking good). Fortunately, designers haven’t turned their back on basics, and are coming up with creative ways to make your old standbys a little more exciting. Here are some of our favorite elevated basics for the end of summer and into fall. The ultimate basic is the white tee. For a more refined look, opt for one that is slightly fitted, such as the Alternative Apparel Vintage Garment Dyed Crew T-Shirt ($34 at alternativeapparel.com) in 100 percent cotton with a subtly vintage finish. For men, the Uniqlo AIRism Short Sleeve Crewneck T-Shirt ($10 at uniqlo.com and Uniqlo, Bellevue) is a high-tech shirt made with moisture-wicking, odor-fighting material. 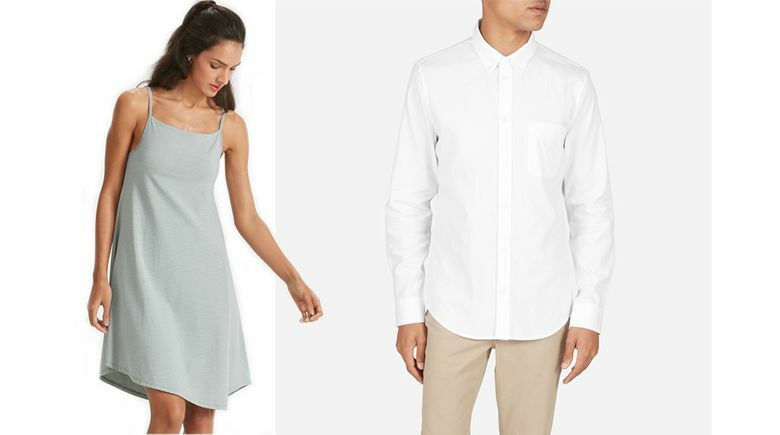 Perfect for the summer-fall shoulder season, the Everlane Silk Short-Sleeve Square Shirt ($88 at everlane.com) is appropriate for day or night with a breezy, slightly cropped fit. At the office, men can keep it cool and classic in Everlane’s Air Oxford Shirt ($58 at everlane.com), with a slim fit and light-as-air material. You may stop fighting against sweatpants as streetwear after trying the MeUndies Hacci Jogger ($54 at meundies.com). They’re super comfortable, yes, but their luxe knit fabric and slim fit is flattering and anything but sloppy. H&M’s Jersey Skirt ($6 at hm.com) is a low-cost way to channel on-trend ’90s style. 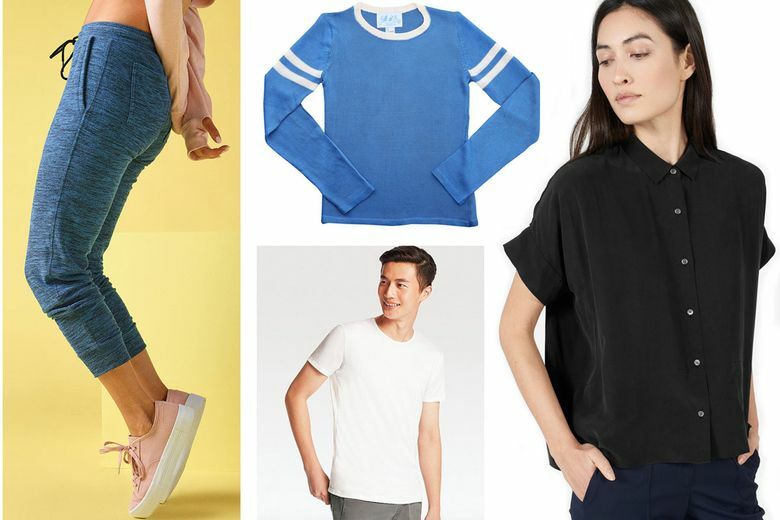 Pair it with sneakers for summer and black tights and combat boots this fall. It’s going to be shorts season for a little while longer, so grab a pair of the classic Topo Designs Camp Shorts ($80 at Prism, Ballard), which are perfect for everyday wear and late-season camping trips. Some days you just want to throw on one piece of clothing and go. The Nau Astir Strappy Dress (on sale for $44 at nau.com), out of Portland, is perfect for those days. The swingy jersey piece, which comes in three colors, has UPF 50 UV protection and an internal shelf bra. Jumpsuits keep evolving in fit and refinement. Case in point: the Grana Silk Jumpsuit ($129 at grana.com) in 100 percent silk with an adjustable drawstring waist for a look that’s both hip and sophisticated. Shoulder season, with its cool mornings and evenings, calls for a quiver of cover-ups. The Prairie Underground Adore Life Cardigan ($132 at prairieunderground.com) is made in Seattle of 100 percent cotton gauze so it’s breathable while providing light sun protection. The Calle Del Mar Long Sleeve Knit Varsity Tee ($220 at calledelmar.us) refines the vintage pullover to create a versatile layering piece. Hand-loomed in L.A. of lightweight but warm viscose, the sweater is cozy, sporty and effortlessly chic. 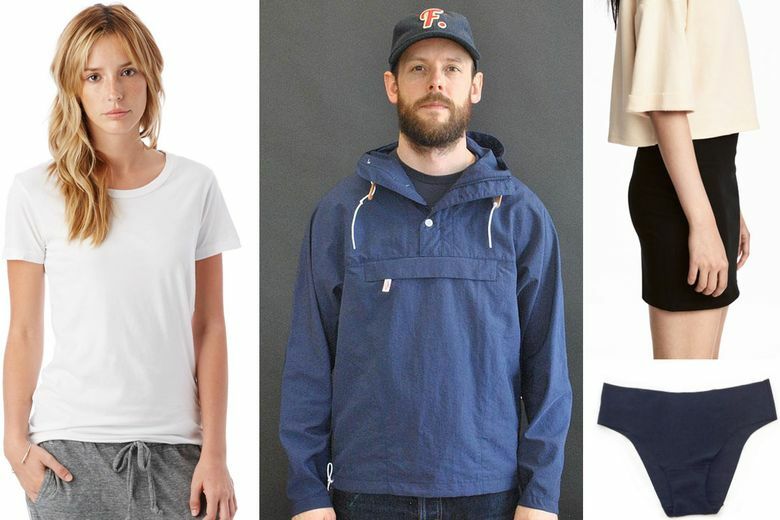 We know it is going to rain eventually, so plan ahead and invest in Seattle’s Freeman Battenwear Packable Anorak ($265 at Freeman, Capitol Hill, and freeman.com). The lightweight, water-resistant jacket will keep you dry and looking cool all year long. Don’t forget your true foundation pieces. The MeUndies Men’s Boxer Brief ($24 at meundies.com) uses a super-soft lightweight fabric and flatlock stitching to add more comfortable to the boxer-brief style. Women can go seamless with the Salua No Ride Up Seamless Bikini ($12 Salua, Madrona, and salualingerie.com) for a sleek look. Made by local lingerie purveyor Salua, this comfortable and functional underwear disappears under any outfit.